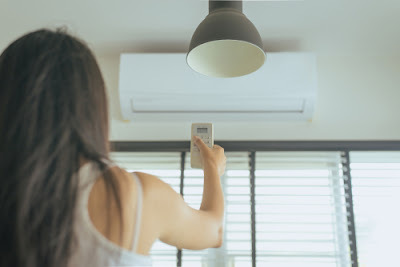 While Singapore residents rely on their air conditioner, there will be times of the year when the system is used far less frequently, if it is used at all. Although it is very easy to forget about your air con during the off season, it is actually the ideal time for servicing or making repairs. 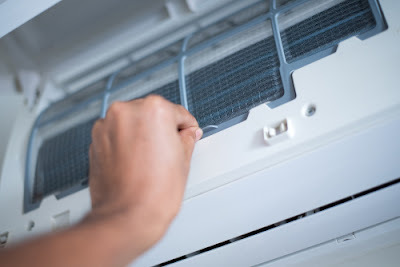 Tips and tricks to care for your aircon gas system. 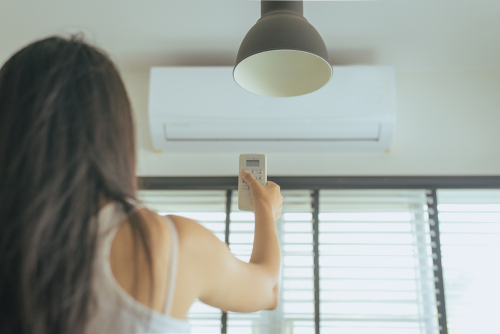 If you have noticed that your air conditioner is not performing as well as it used to, you are likely to see your energy bills increasing. The longer you delay having any underlying issues corrected, the worse a problem will get. For example, if the motor belt on your indoor unit has developed a problem, you may notice that it starts to make screeching noises. Although this appears to be a minor inconvenience the unit is actually having to work harder to cool the room. Additionally, at some point, the belt will be completely compromised, and it will trigger a breakdown issue. Air leaks can be a common problem in older homes, but any home can be vulnerable. Small spaces and holes around doors and windows can add a lot of wasted energy when cold air is lost. This not only affects the efficiency of the air conditioning systems but can also put pressure on the system and lower its comfort level. Many HVAC professionals can help you with a home energy audit to detect leaks. Many homeowners don't understand the full potential of their thermostat with no knowledge of all the features and functions. Since the vast majority of our energy bills are for heating and cooling, it's a good idea to know your thermostat to make it more efficient. During the off-season, this is the perfect time to read the manual and try some features. If your thermostat does not have the most innovative features, it could also be the perfect time for an upgrade. You could install a smart thermostat so you can have complete control of your settings, even if you are not at home. Finally, the off season is the perfect time to plan your annual service. The technician can inspect your system to make sure it operates at maximum efficiency. If you are concerned about the efficiency and performance of your air conditioner, Singapore owners should contact us. Gas Air is an air conditioning specialist and our team of technicians will be happy to answer your questions or requests. Many homeowners only call in a professional when their air conditioning system suffers a breakdown. However, your system would benefit from regular servicing. In fact, many manufacturers insist on annual servicing as part of their warranty conditions. It is a good idea to seek out a professional HVAC specialist who can not only provide service and repair but can provide a trusted opinion for when it is time to upgrade your system. As your system gets older, you will find that repairs are needed more frequently, and your energy bills increase. This means that you need trusted advice on when it is the best time to replace your system and maximize savings. Many people have a problem determining when they need to call on the services of air conditioning experts. This is understandable as air conditioners are complex electrical, electronic and mechanical systems and most people don't know how they work. Something could appear to be a trivial issue or nothing to worry about and actually be an urgent priority. If you're ever concerned about your system, it may be a good idea to seek professional advice just in case. That being said, here are four things to look out for that would be a good reason to call a local air conditioning specialist. There are a couple of instances where you might notice a weird screeching sound coming from your air conditioner. The first reason is the least serious; it means that the fan belt has become loose and needs adjustment. The second reason is a problem with the compressor; this indicates that the system is operating with excessive pressure levels. It's serious, turn off your system immediately and use the services of air conditioning experts to help you. Unfortunately, it's hard to tell the difference between these two types of strident noises, but I hope it's a fan belt problem. This is never a good sign when you are using any kind of complicated equipment. If you smell burning from your air conditioner, it usually means that there is some type of electrical problem. Somewhere in the system, some of it has become hot, and it probably melts. Immediately turn off the air conditioner and call for professional help. This is also an indication that there may be an electrical problem that has developed inside your system. This sound could be components blowing or lose connections that need to be fixed. Call out an expert as soon as possible as the situation will only get worse with time and cost more to repair. If you notice that there is no or a reduced level of air coming from you air conditioning vents you have a problem. There could be multiple reasons for this to occur that are too numerous to list here. A trained professional, however, will be able to find out what is wrong and advise you on a course of action to correct the problem. 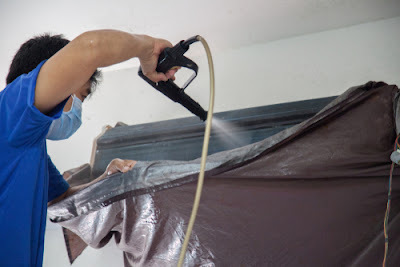 If they are looking for local air conditioning experts, Singapore residents should contact aircon gas. We can supply, fit and service all kinds of residential and commercial air conditioning equipment. We pride ourselves on providing an excellent level of service at an affordable price for our customers. If you would like more information, get in touch with us, and we will be happy to answer any remaining queries you may have.